It was held as one of the art projects for “Yokohama the opening of a country 150th Anniversary Festival”. 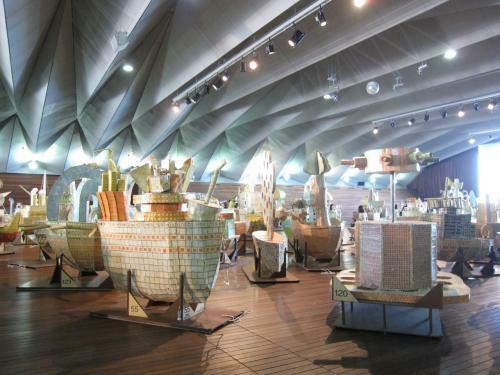 HIBINO who acts as an art producer in this project held “Yokohama FUNE project” that made 150 ships made by cardboard. HIBINO held workshops for Yokohama citizens with 70 volunteers, with the total participation of 11,000 people.